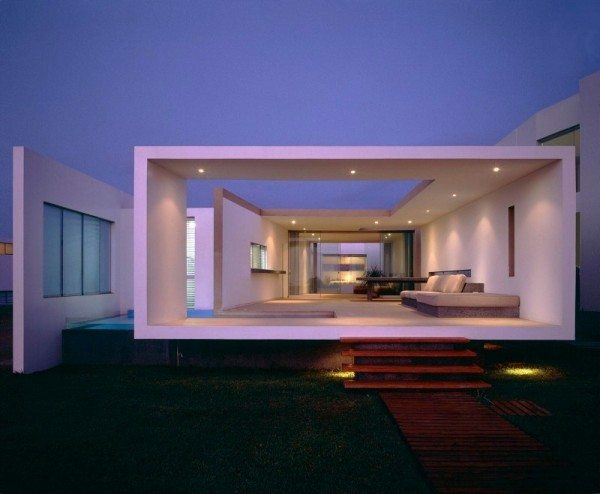 Modern architecture is all about sleek and well-defined lines that produce flowing interiors, which are easy on the eye. 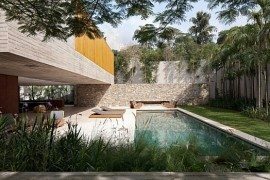 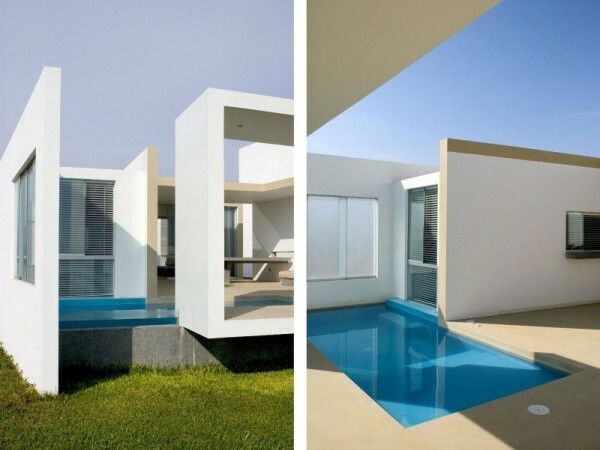 While many of the beach houses are going for that ultra-transparent look which tends to use glass extensively, Lima-based design studio Javier Artadi Arquitectos have gone for a more balanced and ‘boxed’ approach. 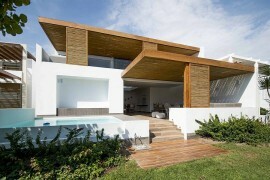 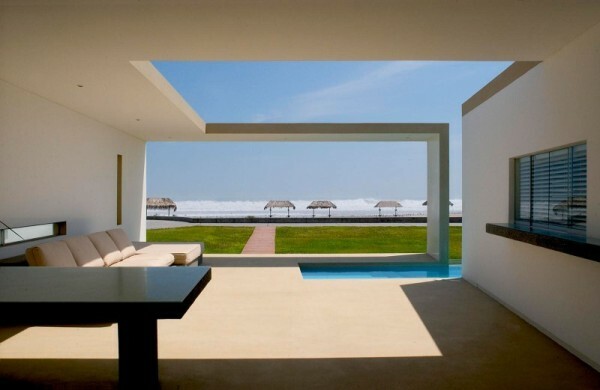 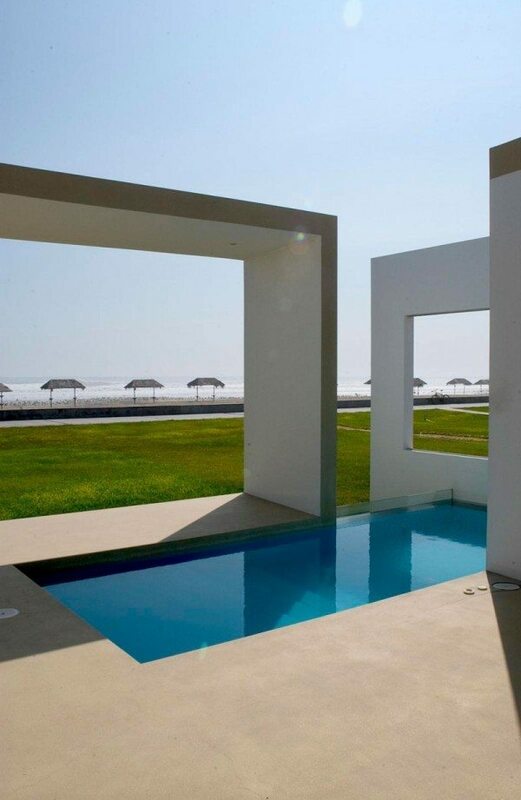 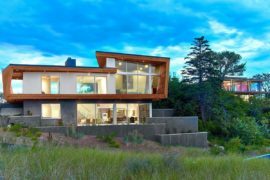 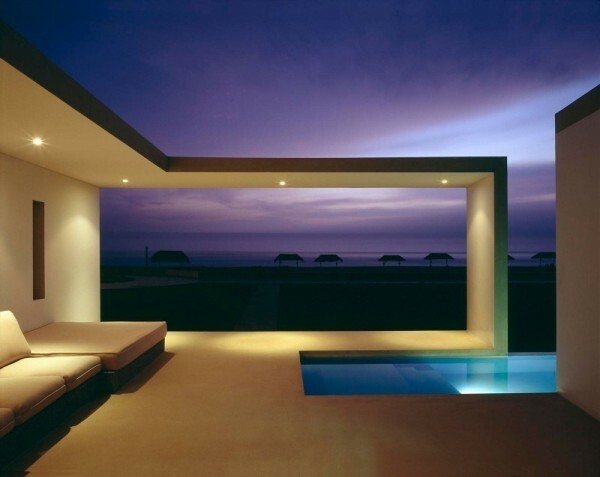 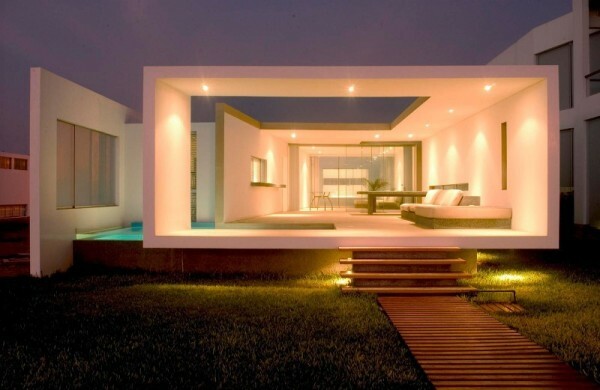 The idea here is to create a snazzy beach house that mixes form with function and yet stand out from the pack. 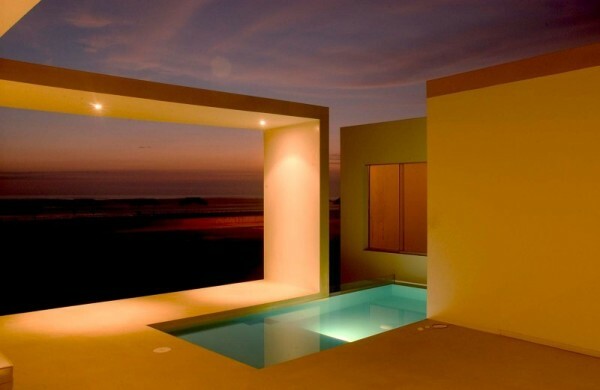 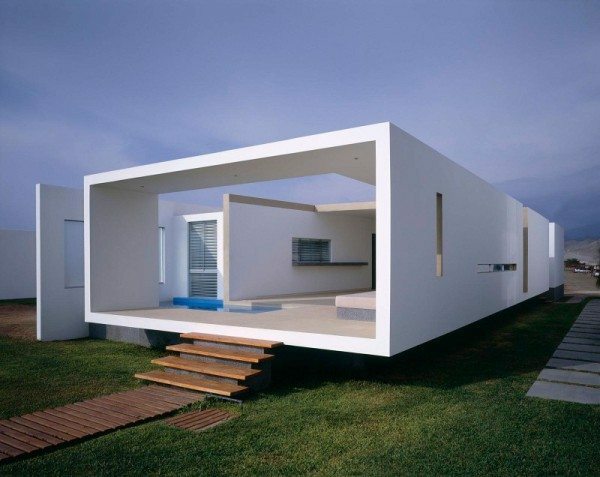 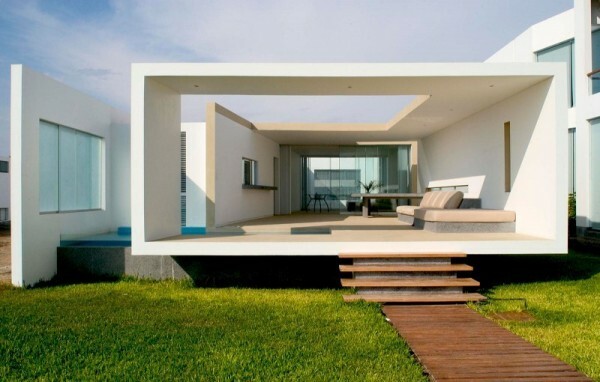 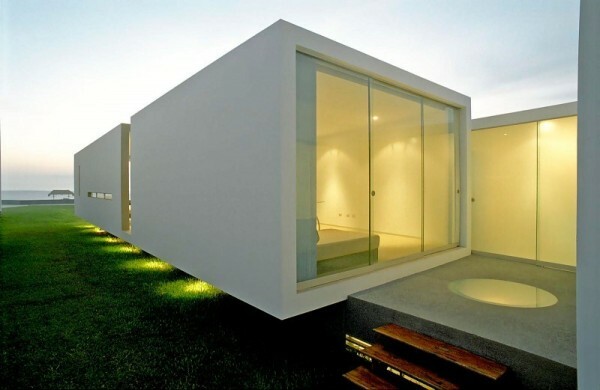 And to achieve this they have used a rectangular box-like template with this small house that is set 100 miles south of the city of Lima. 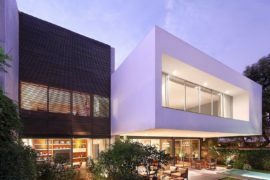 The 2,200 feet home sports a living room, dining space, a spacious terrace and a pool and each of these is visually integrated with the other leading to interiors that seem both spacious and naturally connected. 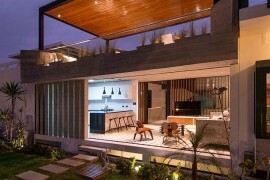 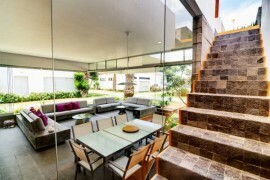 The ergonomic and unconventional décor on the inside also give the home an exceptional look. 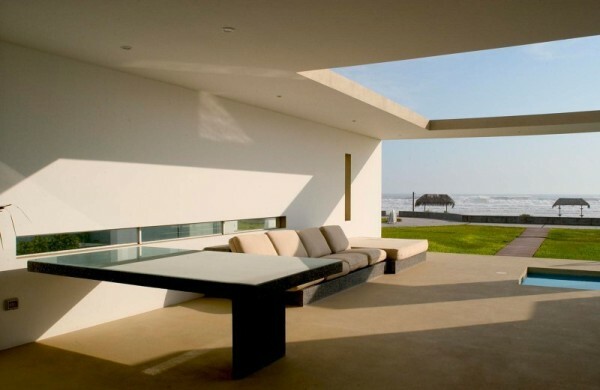 The smart use of glass ensures that the home’s owners still get wonderful view of the sands and the waves as they wake up each morning.